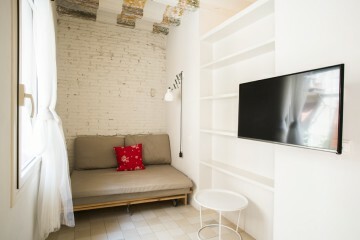 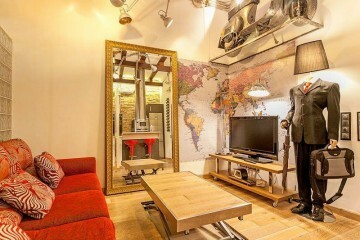 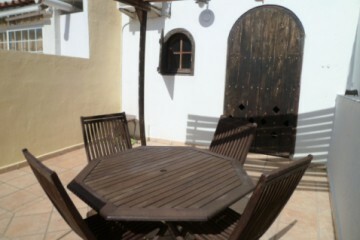 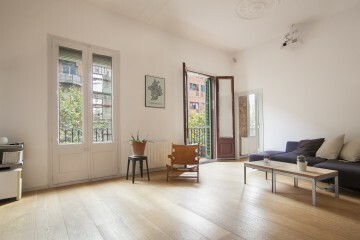 Gothic Boutique 13B is a stunning furnished studio flat for rent mid term in Barcelona Gothic. 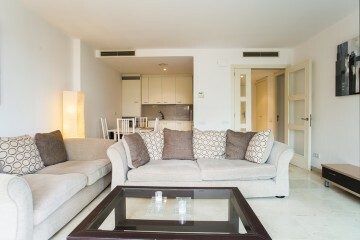 This studio space has been furnished with high quality furniture and appliances to help you make the most of your stay. 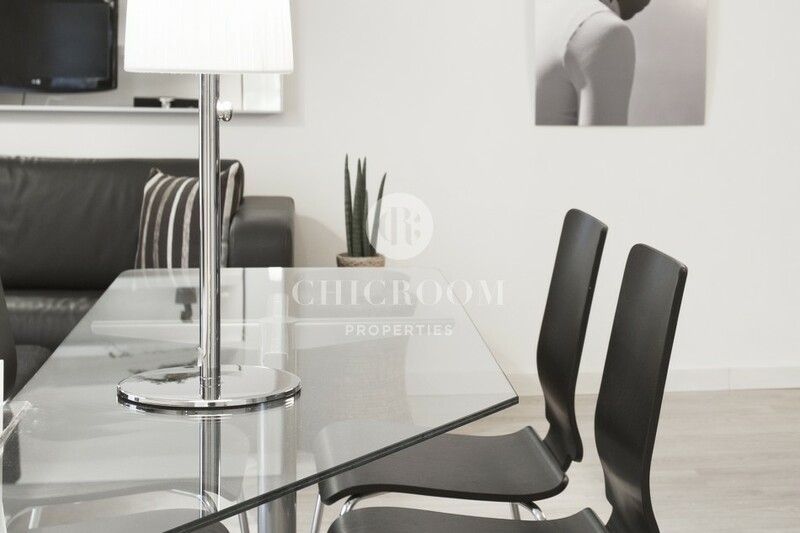 This property has an equipped kitchen, a modern bathroom, open plan living space, and a bedroom. 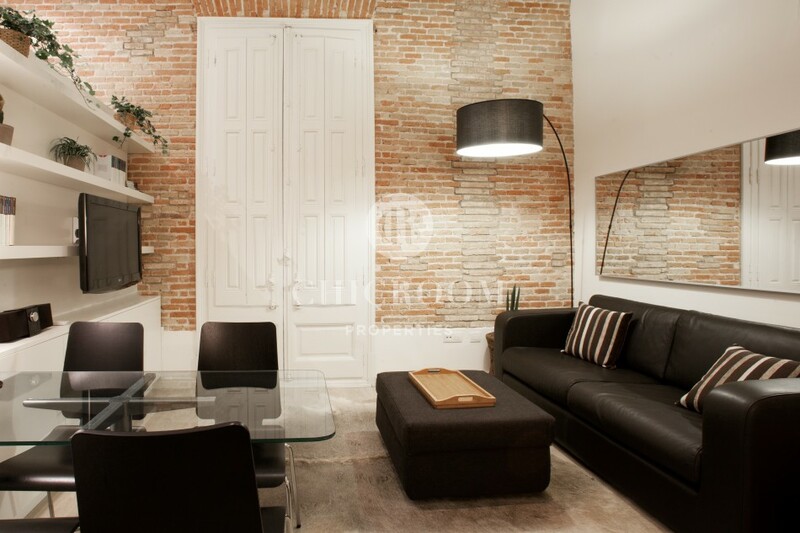 In the open plan living area, you’ll find a sofa bed that can sleep an additional two people, as well as dining facilities. 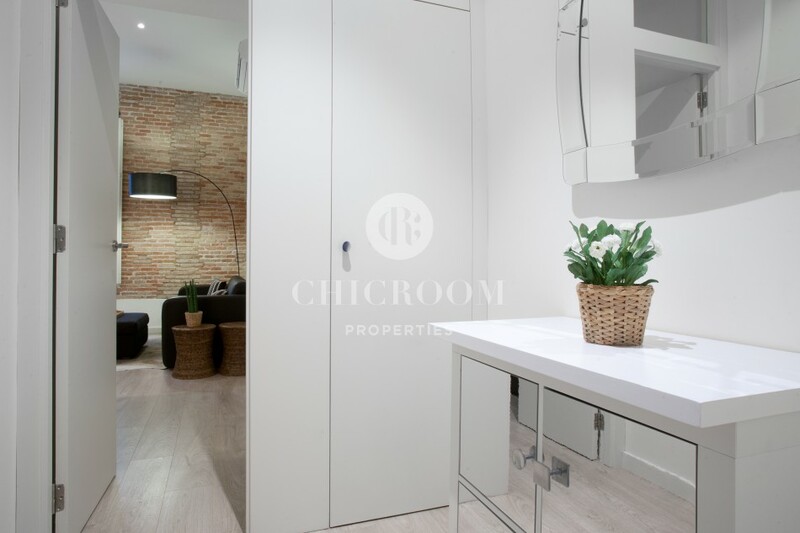 The décor scheme is primarily white and chic, but features like the exposed brick wall add a little character to an otherwise contemporary space. 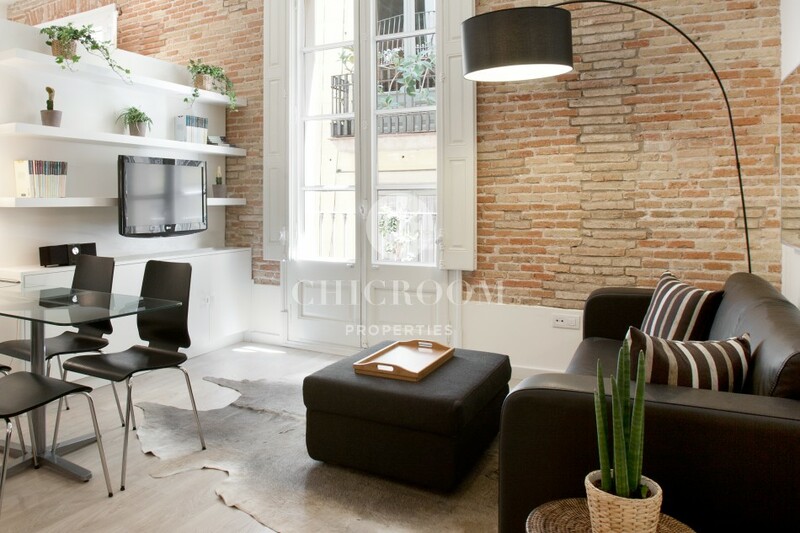 This bright and airy property is located on the historic streets of the Gothic Quarter, near to highlights such as the Ramblas, and Plaza de Pi. 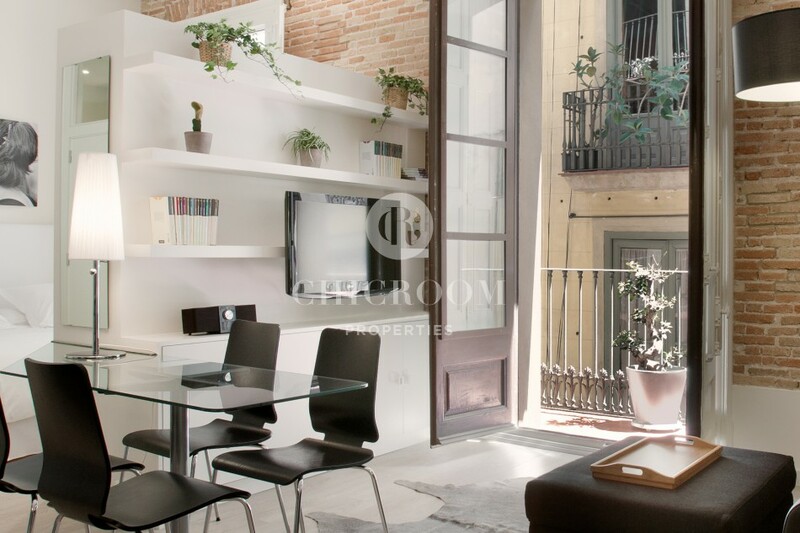 The Cathedral is just a few steps away, and there are many museums, galleries and shops in the local area. 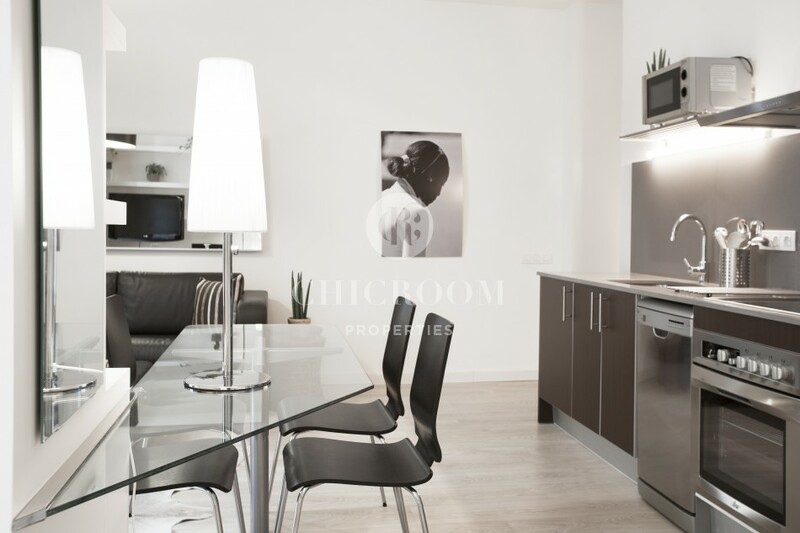 Everything you could need to self-cater in comfort is located on your doorstep, along with a number of bars and restaurants. 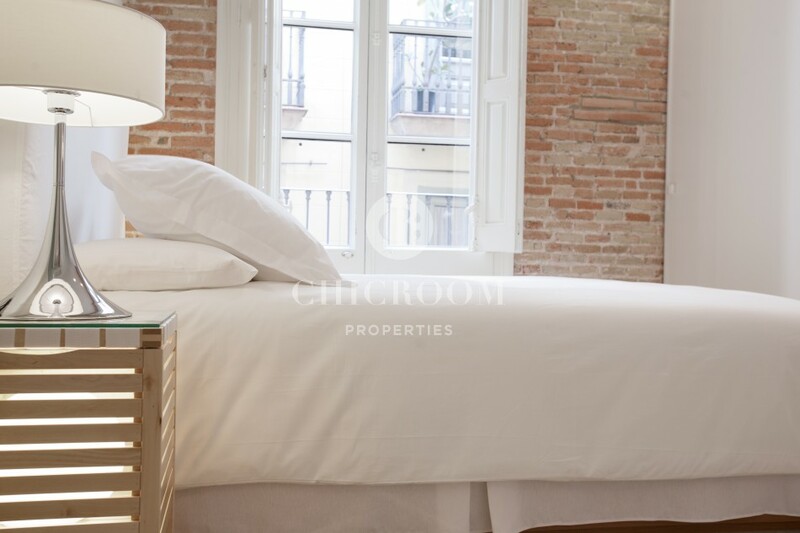 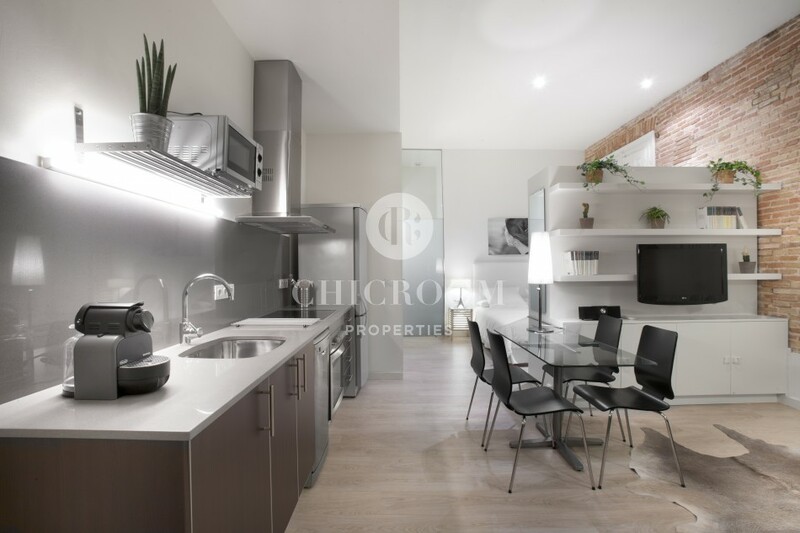 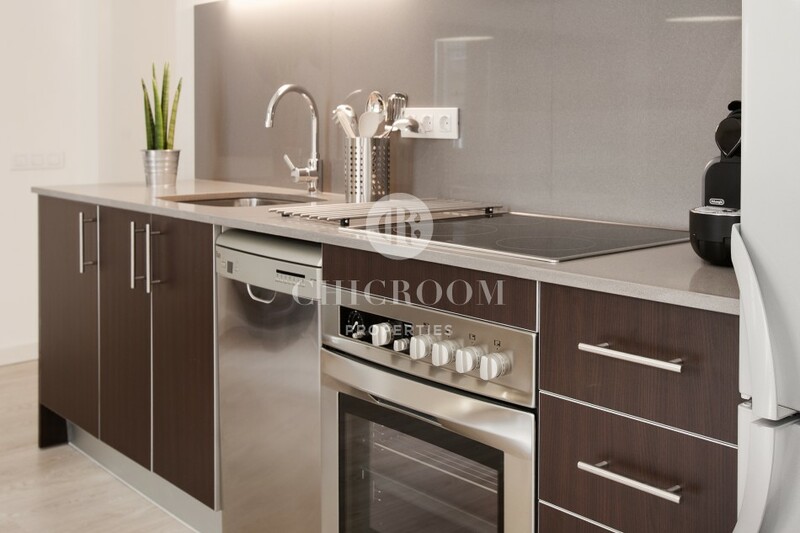 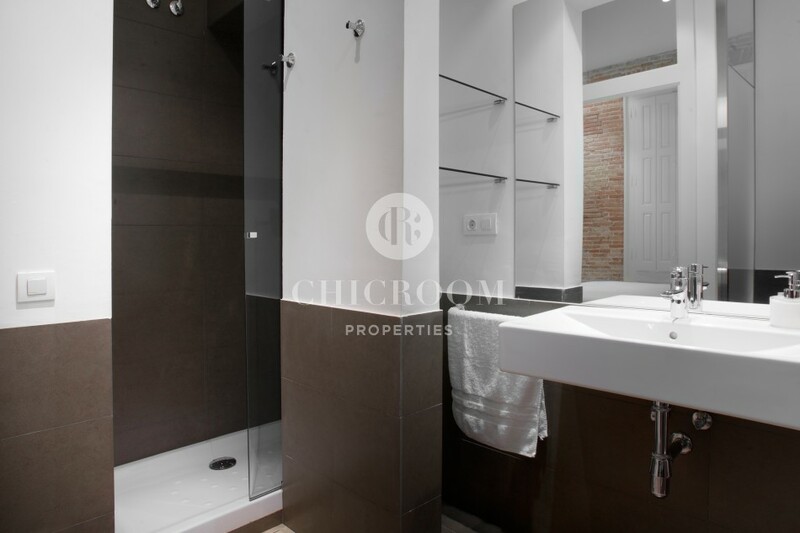 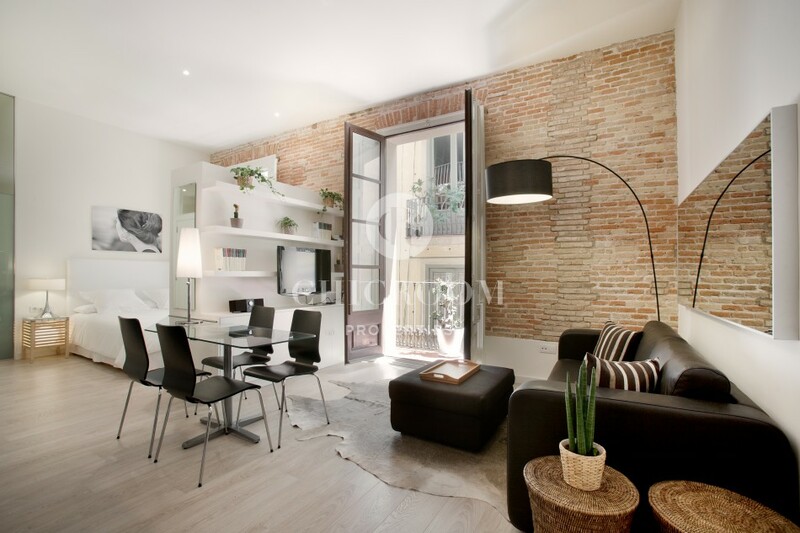 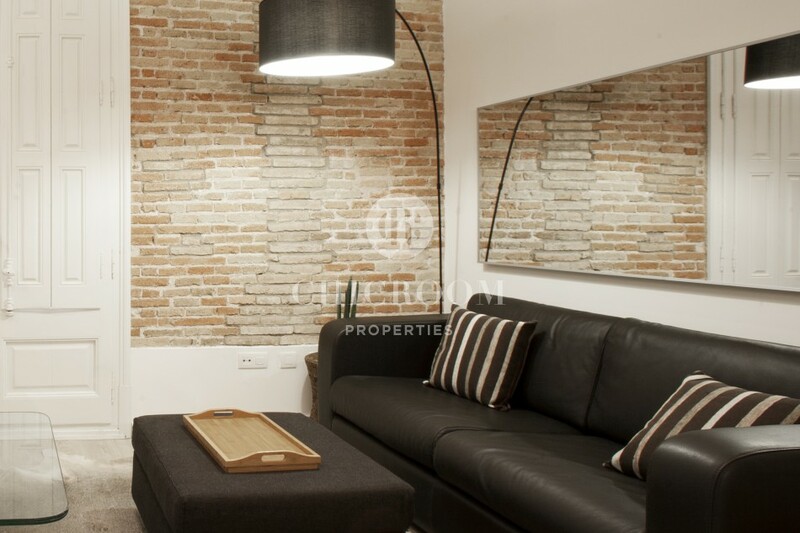 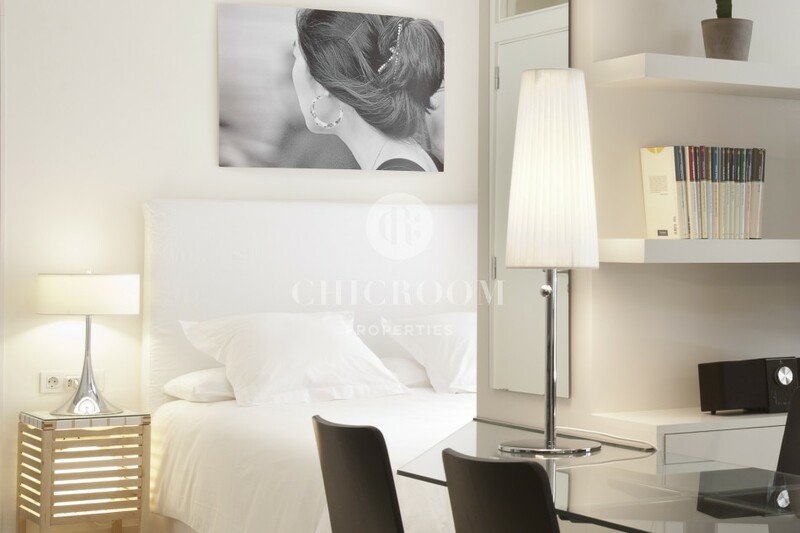 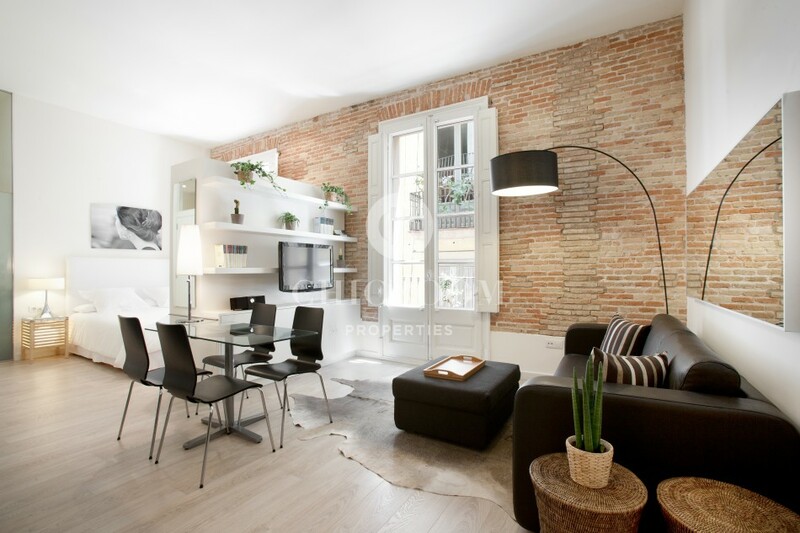 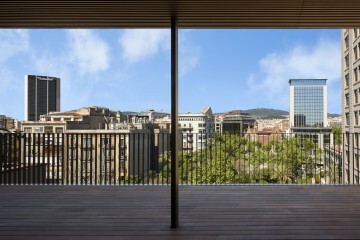 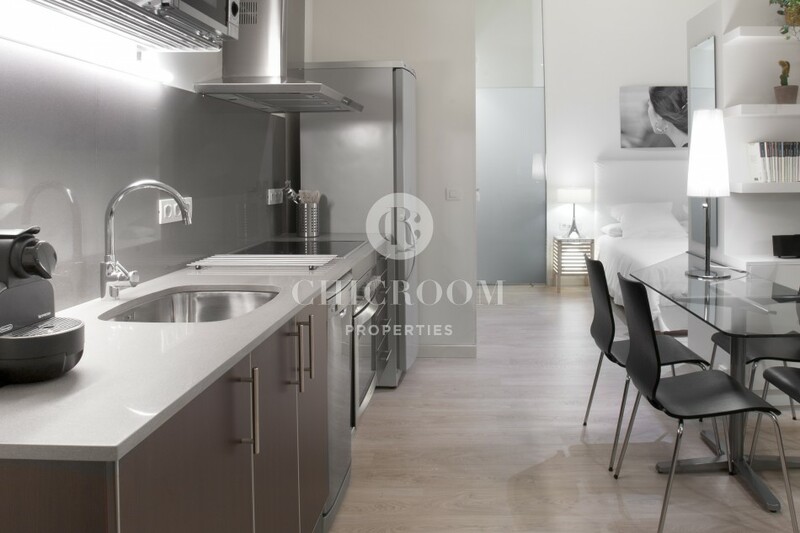 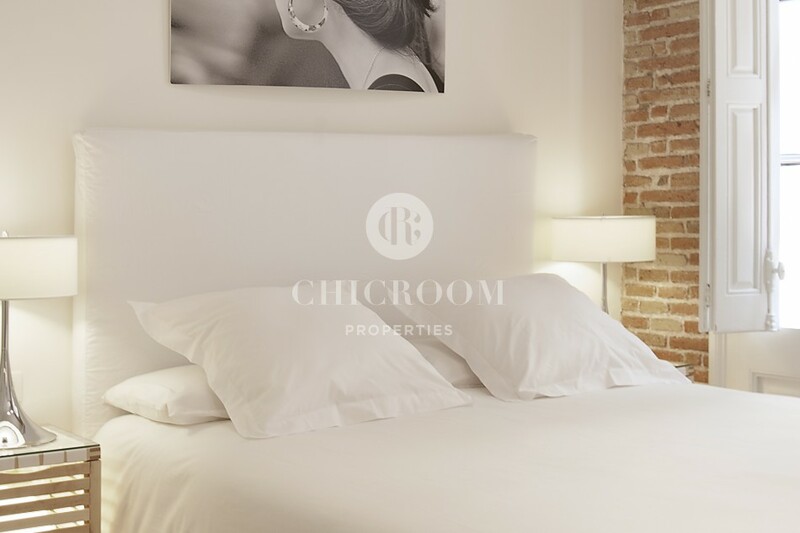 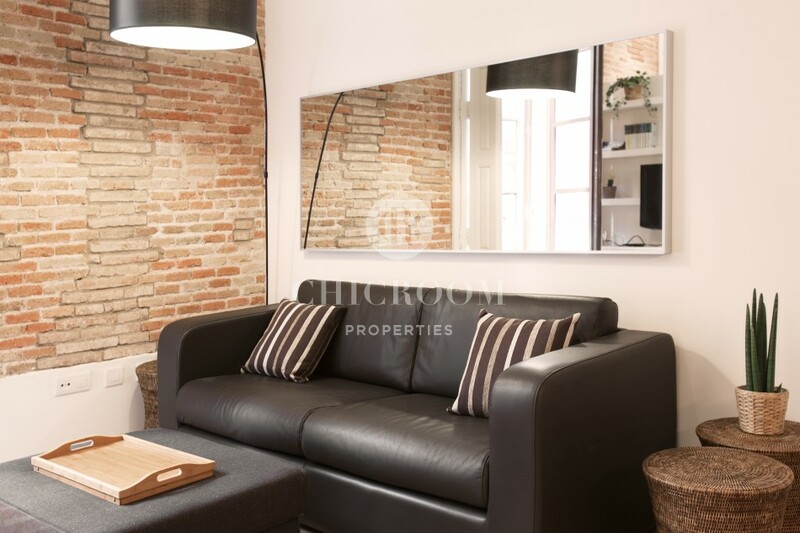 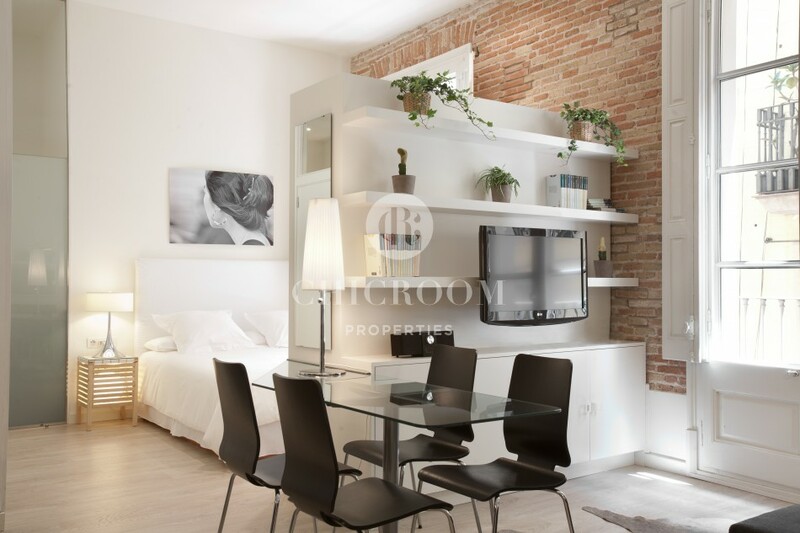 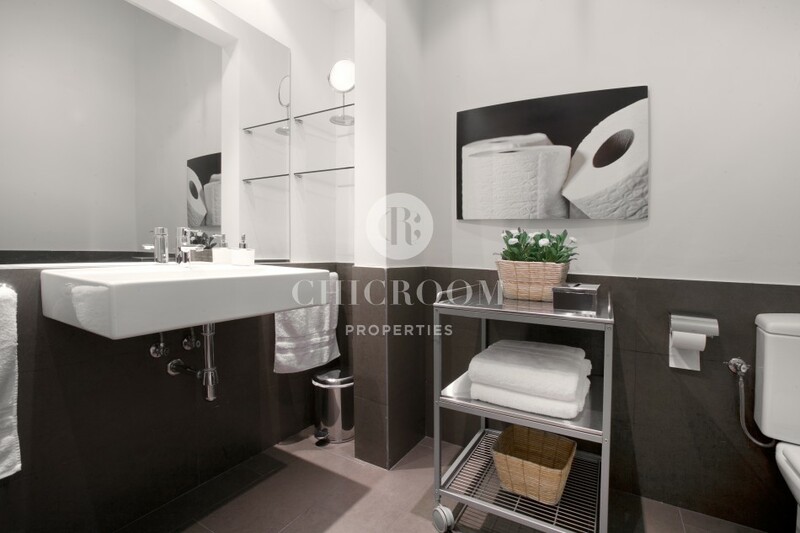 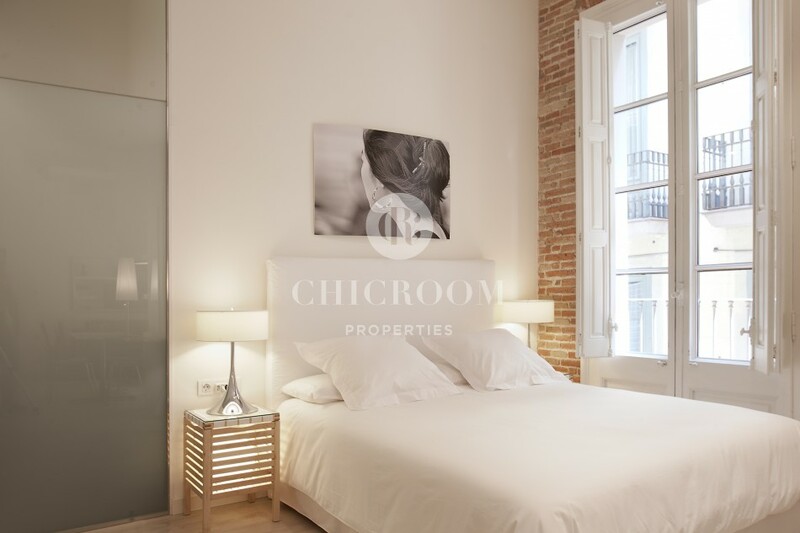 This furnished studio flat for rent mid term in Barcelona Gothic is also well connected by the Liceu metro station (L3, green line), providing easy access throughout Barcelona as well.